The Masterwork series often sells out early. 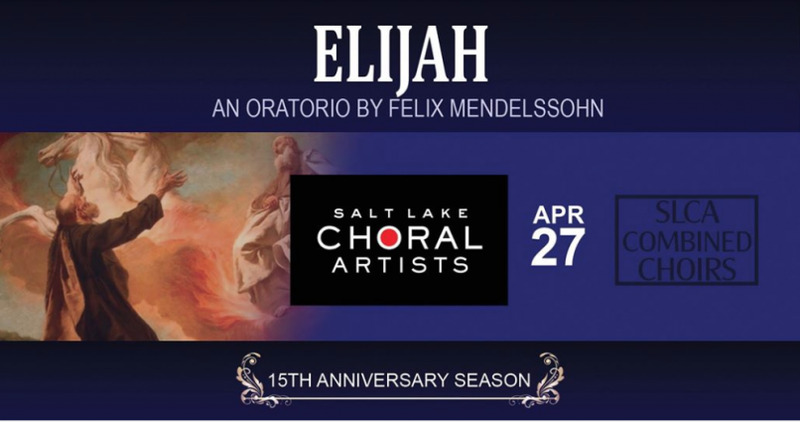 Please get your tickets now so you won\'t be disappointed!Our choral masterwork for this 15th anniversary season is Felix Mendelssohn’s Elijah, sung in English (Robert Shaw Edition.) 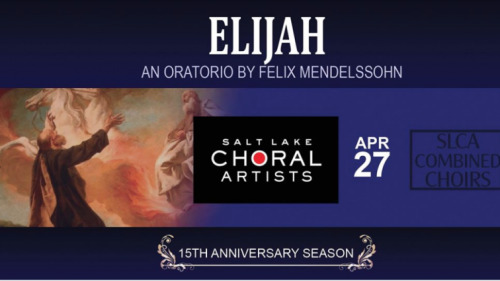 The combined choirs of the Salt Lake Choral Artists will present this dramatic story of the Old Testament prophet Elijah with choir and full orchestra. Featured soloists are Seth Keeton, Carol Ann Allred, Valerie Hart Nelson, and Tyler Nelson.